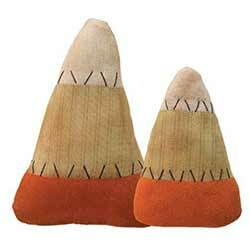 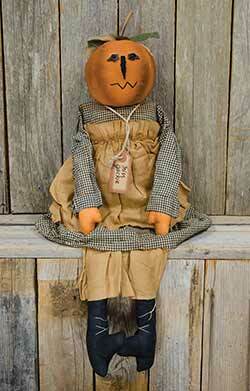 Primitive, grungy, sweet yet spooky dolls for Halloween! 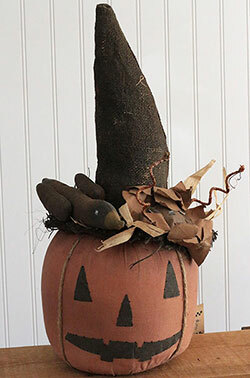 Pumpkins, witches, mummies, and more, by The Hearthside Collection, Honey & Me, Your Heart's Delight by Audrey's, and other favorites! 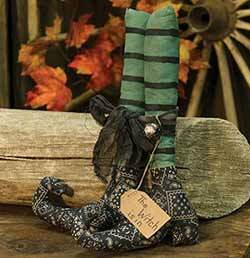 This pair of plush witch legs wear green and black striped stockings and paisley, bandana-like printed shoes with curved, pointed toes. 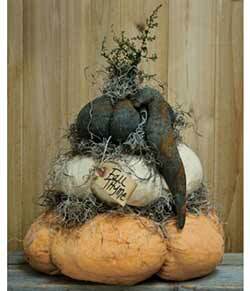 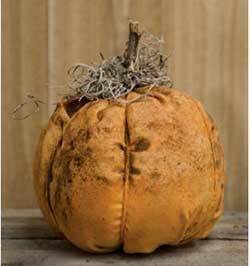 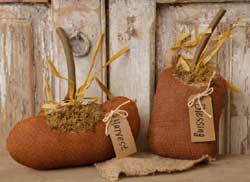 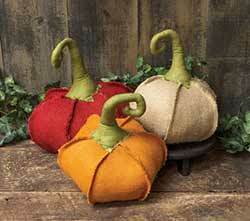 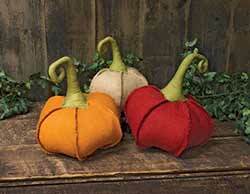 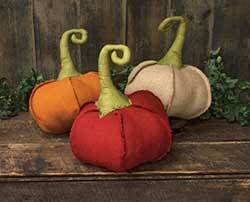 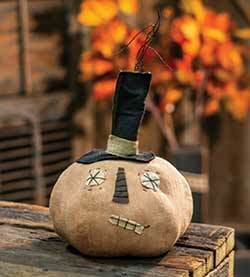 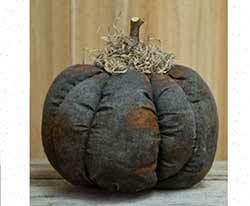 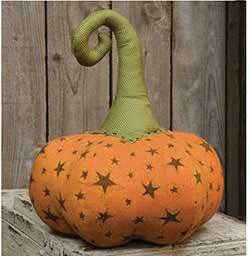 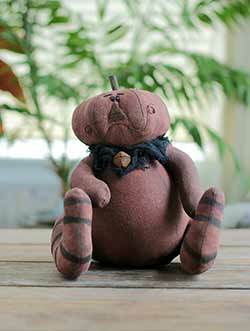 Every primitive fall display needs a grungy stuffed pumpkin! 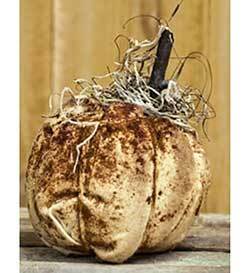 This one is painted black, rubbed with spices, and accented with twig stem and Spanish moss. 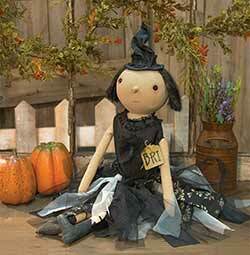 This halloween jack doll has a black cheesecloth neck ruffle and rusty bell accent. 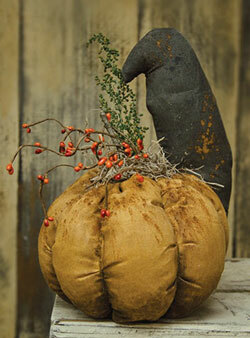 Measures approx 12 inches high. 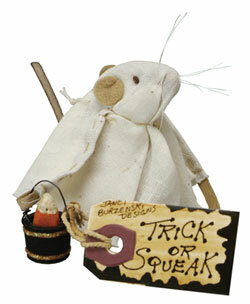 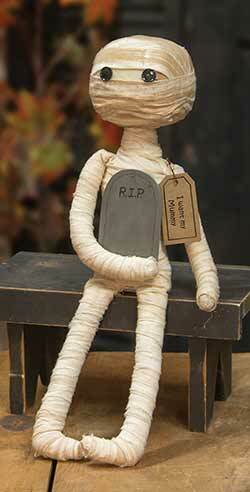 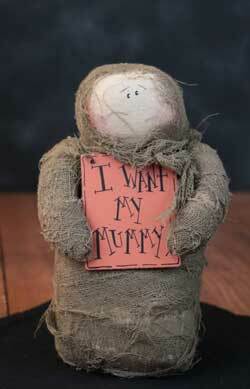 This darling fabric mouse is wrapped in gauze, and holds a sign that reads "I want my mummy". 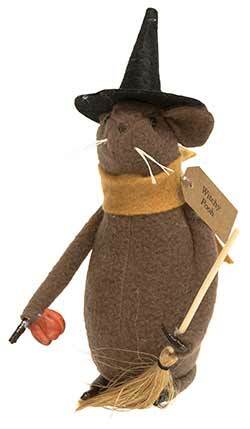 Measures 5 inches tall. 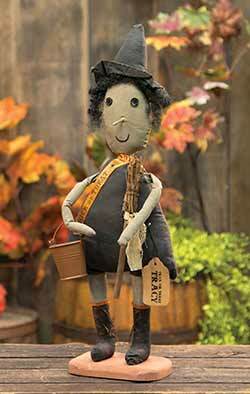 With their old-fashioned, rustic, handmade folk art charm, Honey & Me figures and accents add primitive charm to your country home! 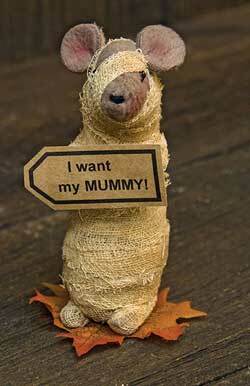 This is for the Roly Poly Mummy. 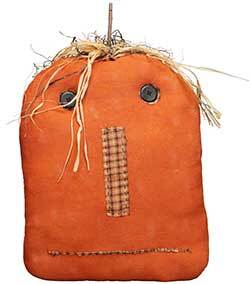 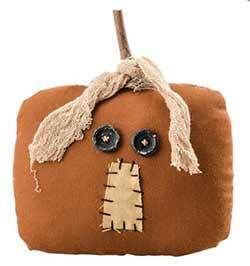 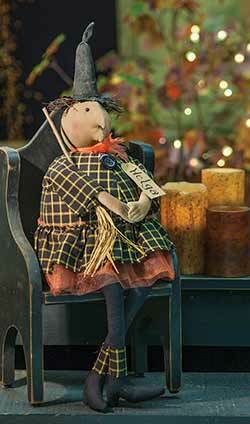 This primitive witch doll is attached to a wooden base, perfect for displaying by a front door or hearth.